Serve on the CWFL Advisory Council and/or share your leadership expertise with our network through workshop-based or webinar-based training sessions! Use Your Social Media Voice! Financially Support Women Determined to Lead! Please include "CWFL" in the memo line of your donation. Every dollar donated goes to support tangible programming that advances the leadership of women of faith. ​IGE is a non-partisan non-profit that is legally registered as a 501(c)3 organization. 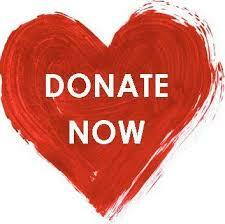 Donations to IGE are tax-deductible. Our tax ID number is: 23-3042456. Sign Up for the CWFL Newsletter! Host an Evening to Celebrate Women of Faith! Utilize CWFL's Hosting Guide to Get Started!